Nine: It’s Hip To Be (Granny) Square – I Made That! 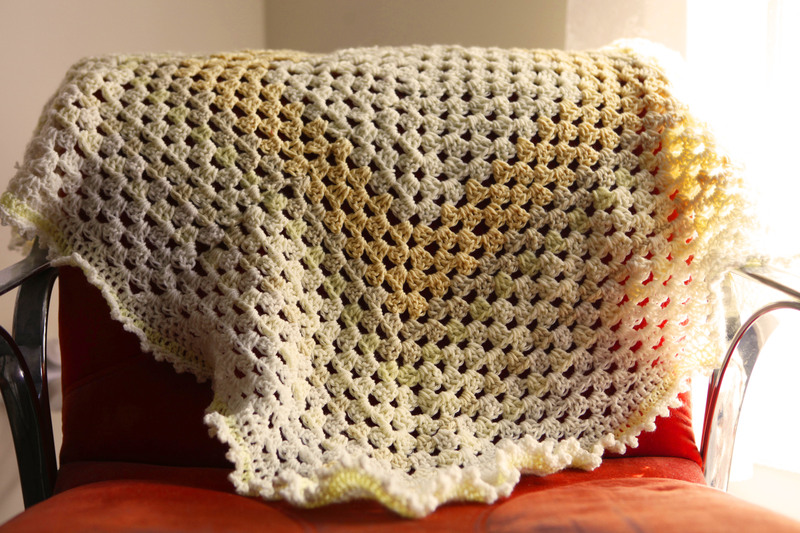 When I started my foray into crocheting I purchased a range of wools from the op shops I frequented to make a granny square blanket from second hand wools. Granny squares are one of the most popular stitches to learn when you’re starting out with crochet and are typically made into a blanket with lots of small granny squares joined together or can be one continuous granny square. 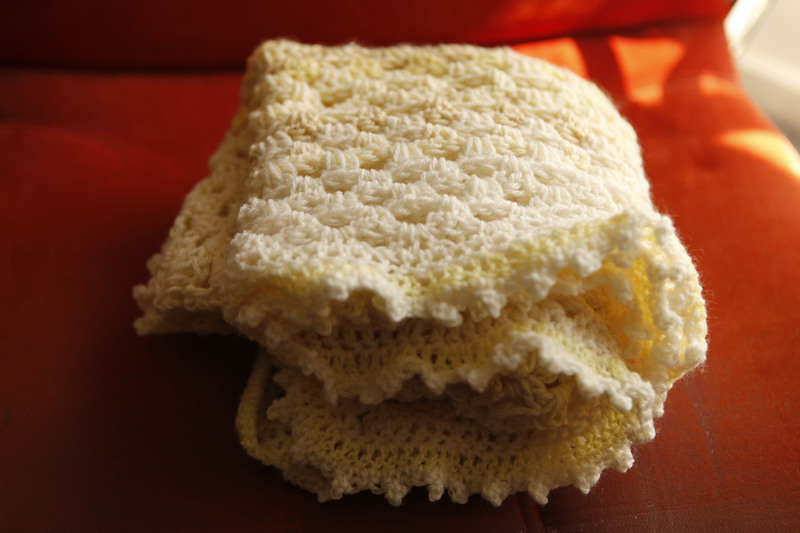 No doubt your grandparents had one of the aforementioned styles of crochet blanket to warm their cold arthritic knees at night whilst dunking a scotch finger into a steaming mug of horlicks. Initially, I started making small granny squares in a variety of colours to join up together to make one mega blanket to cover our leather couch in winter to ease the chill (this is still a WIP). 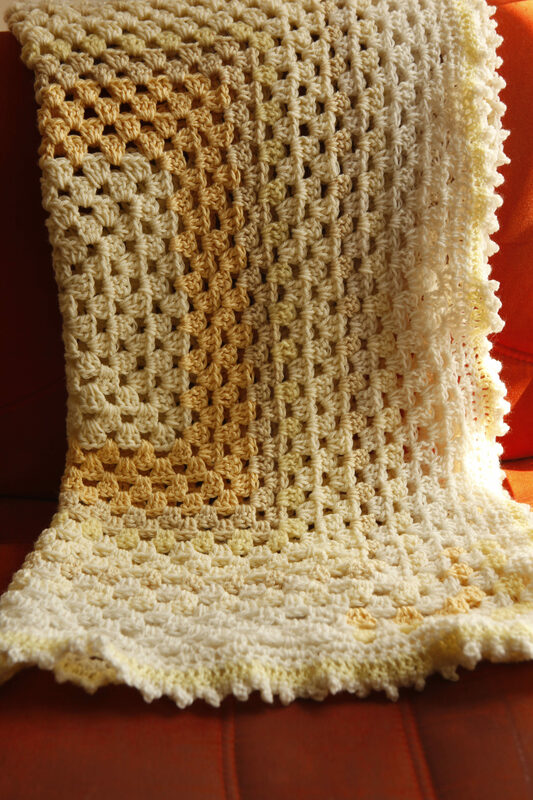 Then one day last year I found myself crocheting a yellow square and simply didn’t stop. Over the year, I would come back to my g ranny square and kept going until that yellow skein ran out and then joined in a second skein of a different yellow wool. At the time, I was experiencing stress and anxiety and found the rhythm of crochet soothing and distracting from my chaotic brain. I wasn’t sure why I was making the blanket, but it was therapeutic so I didn’t see a need to stop. Then, when my brother and sister in law announced that they were expecting in the new year, I knew who the blanket would be going to – my new niece or nephew! There was still quite a way to go on the now baby blanket so as I visited op shops, I collected yellow wools and added them in as needed, continuing on my merry way. 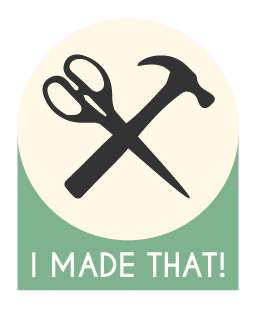 Towards the end of last year as my mental health improved and social engagements increased, I found myself crocheting less. It wasn’t until the new year with the start of this project and the nearing deadline of the baby’s birth in early-mid March that I picked up my piece again. On track to finish the blanket by the due date, we got a call that our new nephew Charles had arrived earlier than expected. Well, this sent me into a crocheting frenzy, I had one evening and a morning to finish off the blanket before we visited the hospital! I whizzed through my final round of granny stitch and decided to do a different stitch on the edges. Two rounds of double crochet in different tones, followed by a round of picot stitch (learnt from a you tube tutorial) and the blanket was finished! On the whole, I am very happy with the blanket and it’s been nice to reflect on how the practice of crochet has played a part in managing my anxiety. My counsellor referred to it as my stress blanket, but I prefer to think of it as my healing blanket. I hope that for many years it provides warmth and comfort to my nephew Charles, just as it warmed and comforted me.